We all know how popular football betting is these days and also how influential bookmakers are within football finances and sponsorship, but do we punters spend enough time really studying the form and coming up with a strategy to beat the odds? 2 years ago I began to create an algorithm which would find me the best team to lay* at ‘odds-on favourite’. It began well but I lost my way with it after making a few alterations each time the system threw up a result that was wrong, from there the algorithm got skewed and I lost faith in it. Lesson learned, next time I’ll save it before each alteration. I was convinced I could produce a piece of software that would, over a season, throw up more winners than losers and therefore, at odds-on, would lead to a profit. That leads me to talking about a little known site called PremiershipTips.com. At Premiership Tips they’re attempting to produce a similar algorithm, but rather than attempting to find one result to make money from, Premiership Tips attempts to predict the result for every game in the Premier League and games in Germany, France, Italy and Spain. I’ve been testing the beta site for a few weeks now and the results are fairly convincing thus far. I say that because; as a results predicting model it’s delivered many more winners than any other site I have checked out. It looks more than capable of picking winners and has the potential to yield good money. You can use the predictions in whatever way you want, but the system flags up three specific matches (or groups of matches) to look out for and ways to treat the information on offer. Dead cert: One team has a very strong chance of winning over the other. The odds are usually below evens, but the probability is high. For this type of bet, we recommend betting on a win for the stronger team. Best bet: They give good value here with a high probability of winning. The odds on each team winning are often higher than 2.00. For this type of bet, we recommend betting on both teams. Value bet: The odds are usually high and over the course of the few weeks I’ve been tracking them they have yielded a great return. 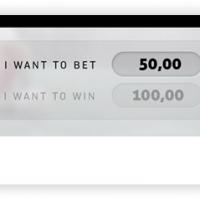 For this type of bet, we recommend betting on a win for the normally weaker team, or a draw. If, like me you like to fill in an accumulator every Saturday and test your luck and your form reading, this site might offer you something to think about. It’s in its infancy so I’m prepared to keep an eye on it and see how it goes, if it begins to prove itself on a consistent basis then only a fool would ignore it. PremiershipTips is fairly straightforward, it’s user-friendly and anyone can view it and see the predictions. Have you got any decent sized accumulator wins or stories you want to share? What do you think about systems and algorithms? *A ‘Lay’ bet means you back against that team. ie: If United were odds-on to beat Wigan at home I’d ‘Lay’ United and need them not to win. Pingback: This City aint big enough for the two of us.